Let us Restore it, Wash it, Polish it and seal it. We will make sure it SHINES!!! Has your floor dulled since it was first installed? Does its surface lack the shine and luster you were so proud of the first time you saw it? No need to worry Pro Master Shine is here to brighten your day, by making your floor shine like never before. Our team of professionals is always ready to offer excellent floor restoration services ranging from marble and terrazzo restoration, to marble crystallization and complete concrete restoration. If your Floor needs to be RESTORED don’t wait a second longer call us now . 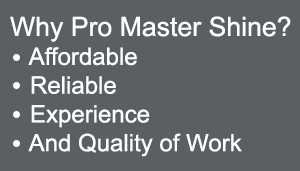 With over 10 years of experience Pro Master Shine is the Best Floor Restoration Company in all of South Florida. Our mission is to offer the best services, at Affordable & Reliable prices with customer satisfaction in mind. We love to help our clients achieve their goals and make their surface shine brighter than ever! © 2014 Pro Master Shine All Rights Reserved. Website Designed by Ochoa Designs Inc.